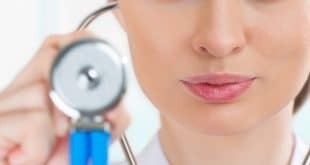 The term “physician’s assistant” is somewhat confusing to a lot of people, because the PA may be the only person many patients actually have contact with. The truth is that a physician’s assistant actually works under the direct supervision of a doctor, but does provide much of the same care. Here is a closer look at the job description of a physician’s assistant. Physician’s assistants are often involved in providing more specialized care to individuals when a condition is outside their scope of practice. One way they may do this is by ordering testing at an independent laboratory. Requirements vary by state, but physician’s assistants are generally permitted to order tests except under unusual circumstances. After results are obtained, the PA may then be responsible for interpreting their results. 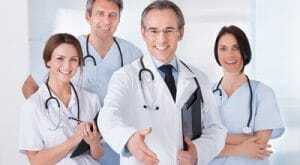 There may be instances in which a physician’s assistant will refer patients to a specialist. Depending upon the circumstances, this may be done only after consulting with the supervising doctor first. The law in a particular area will determine when and how physician’s assistants make referrals as well. A PA may perform between 80 and 85% of the same functions a doctor does. Although physician’s assistants do much of the same work as doctors, the do nonetheless have some restrictions on the type of treatment they can and cannot perform. For example, a PA may assist with surgery, but cannot be the primary surgeon. They are typically prohibited from handling very complex cases or treating rare medical conditions, except where absolutely necessary. It’s important to note that physician’s assistants always work under the direct supervision of a doctor. In some cases, this supervision may be only via phone, as is the case when a doctor has multiple practice locations or a clinic is remotely located. Even when acting on their own, physician’s assistants are not considered to be in private practice, and are prohibited from operating their own medical clinics. The supervising physician is ultimately responsible for the actions of his or her physician’s assistants. While the majority of physician’s assistants work in medical clinics, they are also needed in hospitals, surgery centers, nursing homes and other healthcare settings. Some will work for primary care physicians, while others will assist specialists such as cardiologists, pediatricians, and obstetricians. Physician’s assistants are often needed in emergency rooms or urgent care clinics. In this type of setting, a PA may primarily treat patients who have less serious conditions such as minor infections or wounds. They may occasionally be used to start IVs or assist an emergency surgical team in treating life-threatening conditions. Some physician’s assistants are even employed in the mental health field. These individuals may work in mental health clinics assessing people’s conditions. They may also provide medications to stabilize those who are suicidal, and work with a psychiatrist to come up with a long term treatment plan for others. As a physician’s assistant, you will perform a wide variety of job duties, all of which are crucial to ensuring the health of your patients. To get started on a PA career, take a few moments to review our site for training programs near you. After that, feel free to contact us for more information about any of them. Next What is an Ultrasound Technician and What do they Do?